Even in today’s digital age, companies still need basic day-to-day communications materials. 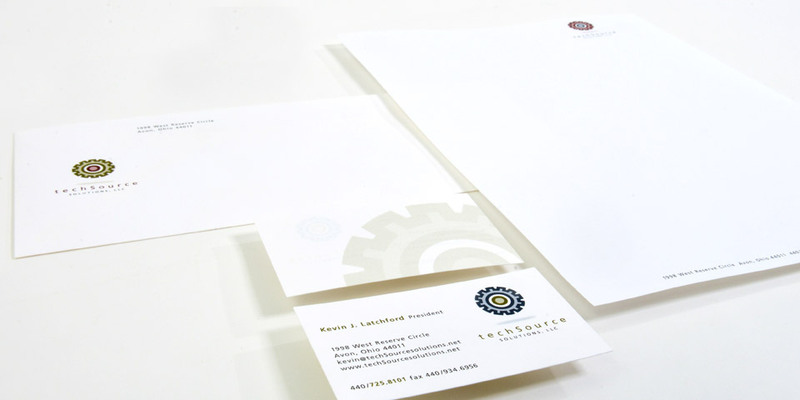 techSource Solutions smartly recognized this need and also made another critical observation: your business cards and stationary are a visual ambassador for your business. When your communications pieces are on a desk with the competition, complimentary businesses and industry leaders, visual quality makes all the difference. What do your materials say about you? Do you value accuracy? Do you value quality? Are you committed to having the highest standards possible for your business? Customers, clients and prospects can sense the answers to these questions just by looking at your marketing materials. Boom Creative is one of the top graphic design firms in Cleveland because we are committed to quality.